Check out our 2019 IAP offerings! 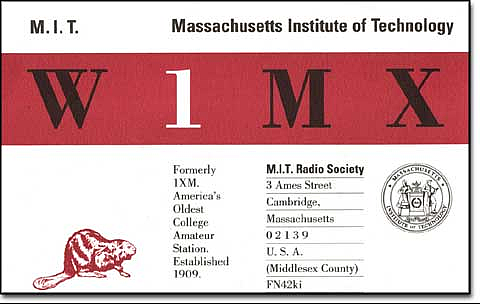 Formerly 1XM, the MIT Radio Society (W1MX) is America’s Oldest College Amateur Station. The MIT Radio Society is a student run organization intended for MIT students, faculty, and staff. New student members are greatly appreciated. The MIT Radio Society meets every Friday at 7:00 PM on the Third Floor of Walker Memorial (50-358). Please also see the home page of W1XM, the MIT UHF Repeater Association.